Some of the items selling on GovPlanet may be on the Commerce Control List. These items commonly require an export license from the Bureau of Industry and Security (BIS) under the Export Administration Regulations ("EAR") in order to be exported from the United States. 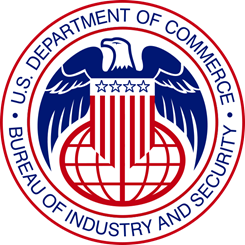 Export license requirements and application documents are available on the Bureau of Industry and Security's website. To begin your export license application, visit the SNAP-R license application tool. Items sold on GovPlanet are typically classified under the EAR as: EAR99: General Non-Militarized/non-export licensable items. The SNAP-R Help Desk is available to assist with any export license related questions. You may contact the SNAP-R Help Desk via e-mail at snapr@bis.doc.gov or phone at :+1 (202) 482-2227.